The Mrs. Fisher: Friday Favorites - Booties! Happy Friday Y'all! I am so happy to see Friday. The first week back after vacation is rough. Lots of catching up to do at work. I'm looking forward to a quiet weekend and a little pampering and the ballgame Saturday night! 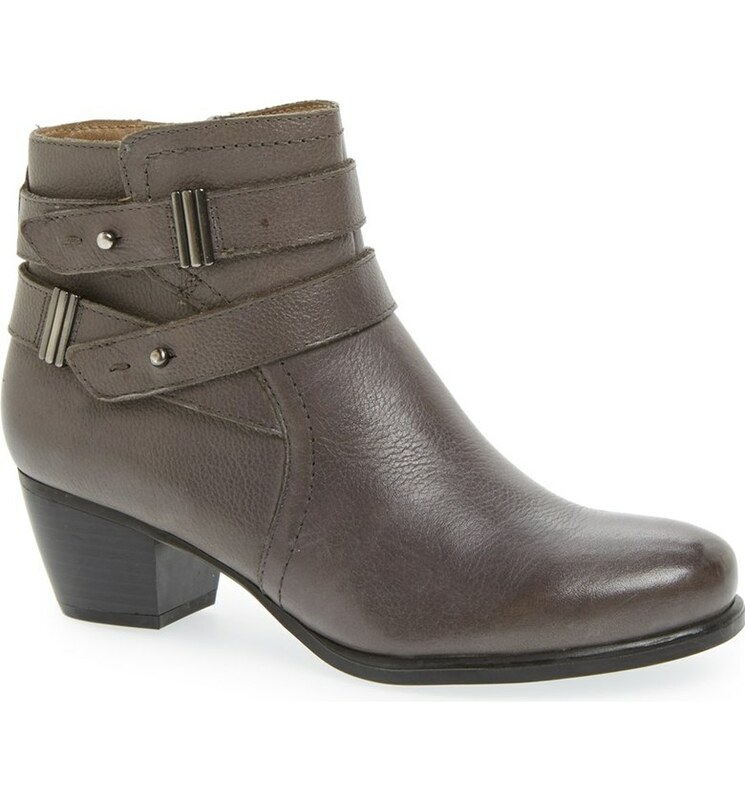 Once upon a time, shoe designers created this type of shoe that was a cross between a boot and a shoe. And I hated them. How many years have booties been out there? I have thumbed my nose at them every year. I don't like how they look with dresses or skirts at all and I was hoping they would be going away soon. Well, fast forward some 10 years and here we are and I have a feeling they're here to stay. 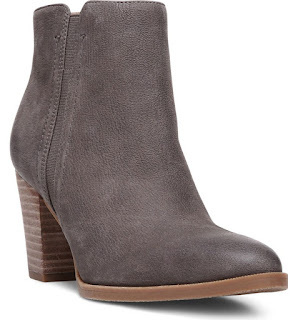 With that said, I am about to take the plunge and buy a pair of booties. I can hardly believe it. Please pardon the fact that it's sideways. Sigh. I'm hoping the Apple people can fix my laptop on Sunday. Anyhow, as I was putting this together I thought, wow a pair of booties would look great with this outfit. It's a shame I don't have any. The hunt is on! 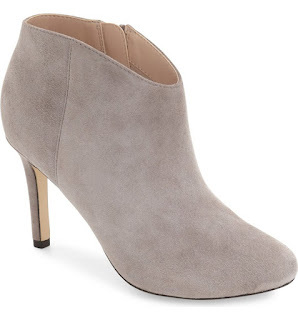 I started scrolling through the bootie selection at Nordstrom and these are my favorites so far. I am loving these. 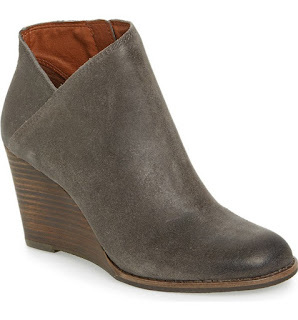 I'm thinking I want a pair of grey booties and I love the look of the wedge heel on these. How gorgeous are these? They may be my favorite of the lot. Oh it's going to be tough to decide. These aren't necessarily my style, but I love the open back. What do you all think? I think these are so pretty, but I'm not sure I want to spend that much on them. We'll see. I love the color though and the heel height is perfect. Oh decisions, decisions! Which ones should I choose? Leave your thoughts in the comments and help me decide!